Some things are eternally re-assuring about the first weekend of July. A large peacock looms protectively over its stage, hug a bunny remains a festival side attraction and a host of fine musicians descend upon Easton Farm Park in Suffolk. Now one year shy of its decade existence, Maverick Festival continues to be a beacon on the independent music scene and forever adept at the concept of sun conquering rain. 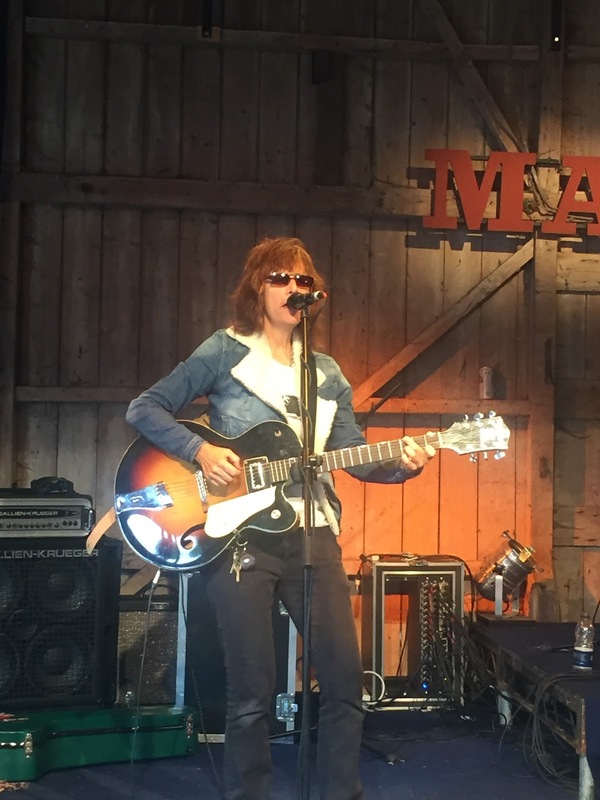 This ninth gathering of artists, sealed by a common bond of contemporary roots music, once again served up a treat for festival goers and displayed an array of styles to ensure that many angles of what we term ‘Americana music’ was covered. While it would be useful to acquire omnipresent powers, the constraints of any festival review lean heavily upon the personal perspective. So full respect and admiration for any artist not seen over the weekend, but if you went on quality sampling of what was witnessed, then they too would have been worthy of your time. On an action packed weekend starting on the stroke of five on Friday teatime running through until Sunday afternoon, many acts rivalled for the festival highlights, with some neat scheduling giving artists multi sets. Reflecting on the events of the weekend left the conundrum of structuring the review, with possible options being a chronological, A to Z or preference format. However let’s try something different and embark on a Maverick Festival intercontinental virtual road trip. So fasten your seatbelt and prepare to be taken from LA to Suffolk via many ports of call. 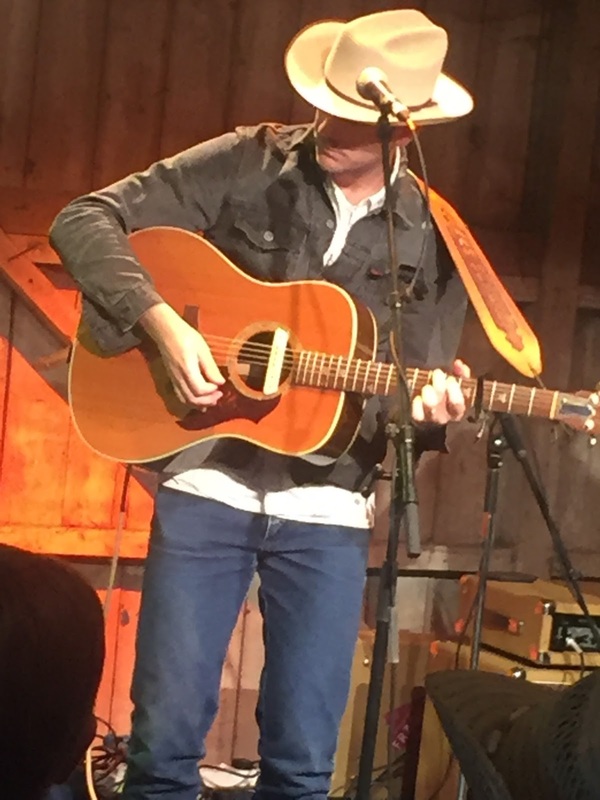 Sam Outlaw has created an enormous impression with the UK release of his superb album ANGELENO earlier this year and the Los Angeles based country artist was presented with the opportunity to share these songs in The Barn on Saturday evening. Like so many gig experiences, it is often the lesser notable song on an album which stands out in the live arena and the finale of Sam’s set ‘Keep it Interesting’ upheld this theory during a show which launched his most extensive UK tour to date. Remaining on the West Coast, we now journey up to Seattle to bring you alt-country rock band Massy Ferguson who played a racing Saturday lunch time set on the outdoor stage. Primarily in the country to launch their brand new album on At The Helm Records, this four piece combo led by Ethan Anderson carried on where they left off on their last appearance at Maverick a couple of years ago, with ‘Powder Blue’ from their back catalogue once again extracting an enthusiastic response from the audience. While keeping on the western theme of this Maverick road trip, we now cross the border into Canada and more precisely Southern Alberta. 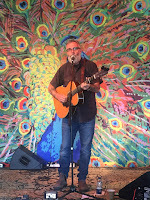 John Wort Hannam is a new artist to many in the UK and this is about to change after a trio of sets across the weekend including a Sunday lunchtime half hour in the Peacock Café. John is your archetypal folk singer-songwriter with a slight comparison to Slaid Cleaves in the style of his compositions. As you would expect, the stories were enlightening with ‘Love Lives On’ being the pick of his set, although conducting a crowd choir during the chorus of ‘Time After Time’ didn’t need too much encouragement, even for the morning after the night before. 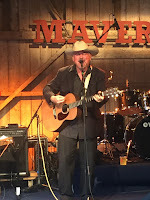 John also participated in the Friday evening Canada Day presentation along with compatriots Ryan Cook and Christina Martin, but for the next witnessed artist from this fine country we have to travel thousands of miles east to Ottawa and the impressive Lynne Hanson. 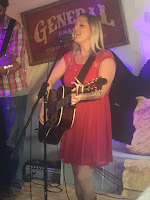 Backed by her two piece band known as The Good Intentions, Lynne played a lively set in The Barn with the volume turned up on a fine bunch of tunes, mainly on the darker side of the song writing genre. 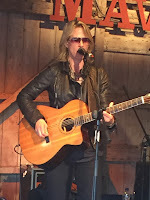 ‘Gravedigger’ from her latest album 7 DEADLY SPINS and the title track from an older release ‘River of Sand’, led the way on a performance which signalled the rising of her star in the UK. We now must leave the land of the maple leaf and head back into the States and the northern city of Chicago, the current home of the legendary Jon Langford. Admirably, Jon stepped in early on Friday evening to play a set while another artist was struggling with the UK‘s fragmented rail network. Whatever your exposure to Jon has been in the past, most notably as a member of The Mekons and the Waco Brothers, it was not difficult to detect how he has successfully merged the passion of new wave punk with traditional twang to become identifiable with the alt-country scene of the 80s and onwards. Apart from Jon’s music, his incredible artwork was also on sale and you must look out for the fabulous piece that has been created for the Dylan, Cash and the Nashville Cats exhibition currently running in the Country Music Hall of Fame. Our Maverick road trip should now move onto the rails and board the City of New Orleans right though the spine of the country to the Crescent City. Two artists based here represented the old and new of the festival. Andrew Duhon, a Grammy nominated singer songwriter, has graced the stages of Easton Farm Park a few times now, but this was the first time a set of his has been witnessed. The error has now been corrected and his song, ‘Just Another Beautiful Girl’ is now permanently in my head. 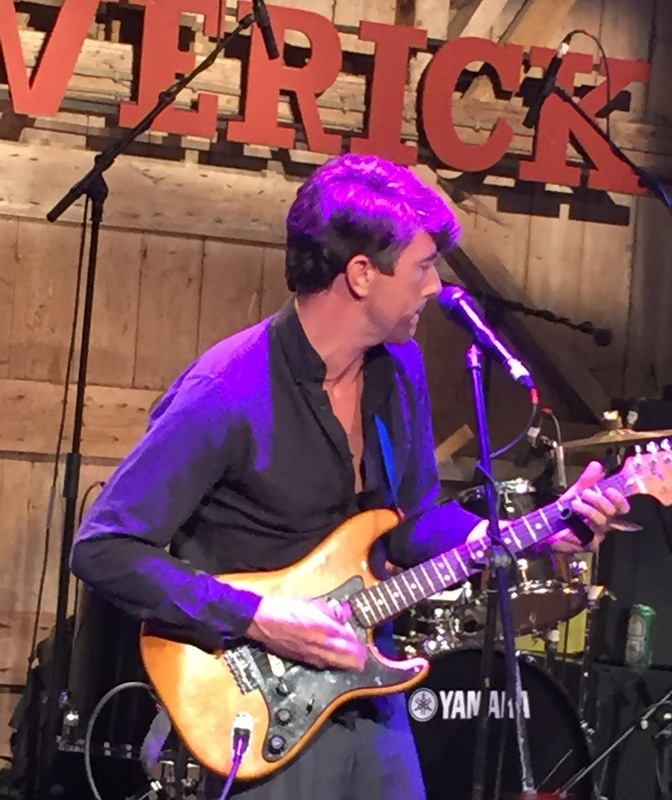 Luke Winslow King was in many folks’ eyes, the star of Maverick 2016 and being up close to his closing set late on Friday was a great experience. 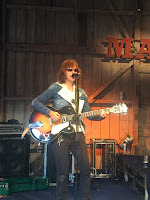 Prominently playing a contemporary blues style, Luke hit on a perfect beat during this crowd pleasing performance with the song ‘Cadillac Slim’ being both a memorable and autobiographical number. We are now going back west from Louisiana, crossing the Red River and into the neighbouring state of Texas. 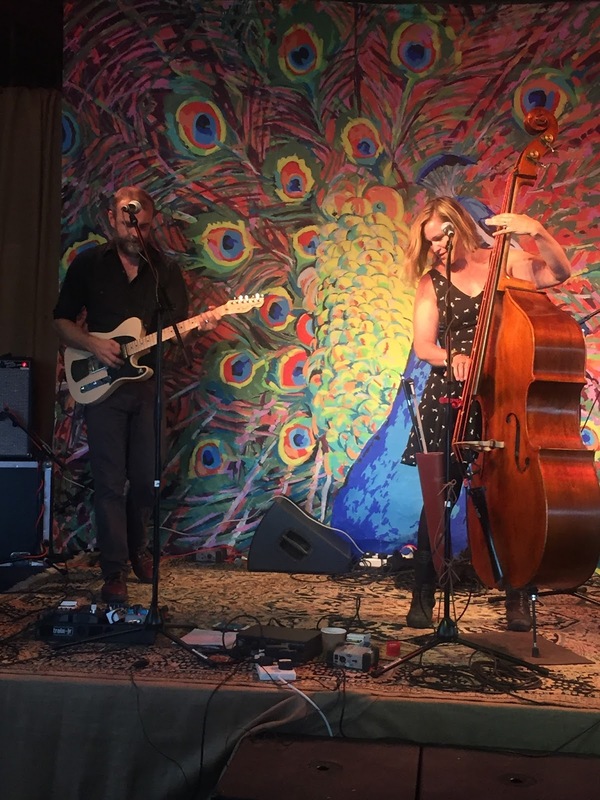 Two Austin based singer songwriters featured across the weekend with both Amanda Pearcy and Barbara Nesbitt using this Maverick appearance as the base for a series of UK dates. Amanda was briefly caught Saturday teatime on the Peacock Stage where she had the benefit of a house style band frequented by the legendary UK pedal steel guitar player BJ Cole. ‘Pallet on the Floor’ is one of the best songs on her latest album and duly featured during her time on stage. Amanda is actually combining some UK dates with Barbara and it was a treat to catch the latter’s set on the Moonshine Stage in the final throes of the festival on Sunday afternoon. She came across as a very accomplished country singer, leaning to the traditional side unsurprisingly for a Maverick booking. She was appearing alongside fellow guitarist Ben Jordan and from a raft of enjoyable songs; ‘Old Devils Can Die’ left a favourable impression. Now is the time for a bit of personal bias and a trip up to the epicentre of the 2016 Maverick Festival– Oklahoma City. 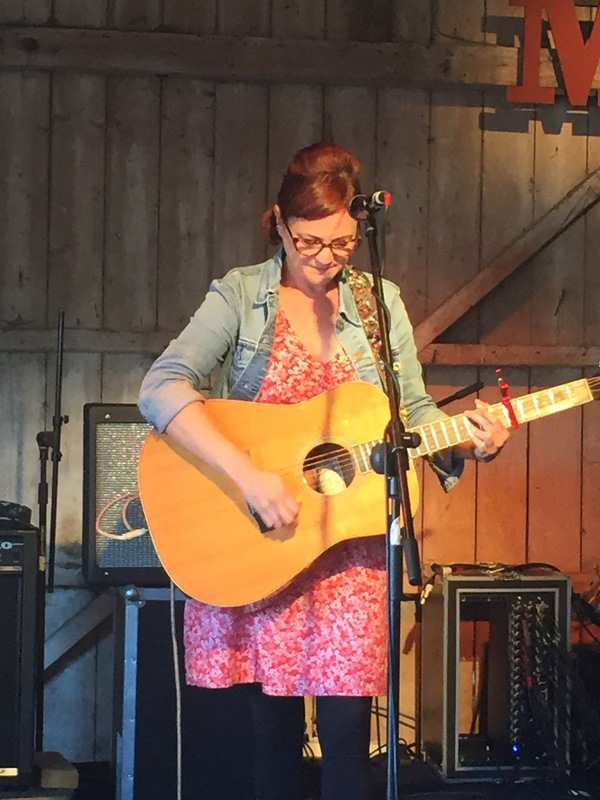 Upon listening to Carter Sampson’s latest album WILDER SIDE, one was absolutely hooked on her captivating voice, imperial songs and earthy link to the soul of the music. This was Carter’s first professional trip to the UK and her Saturday afternoon set in The Barn lived up to all the exalted expectations. 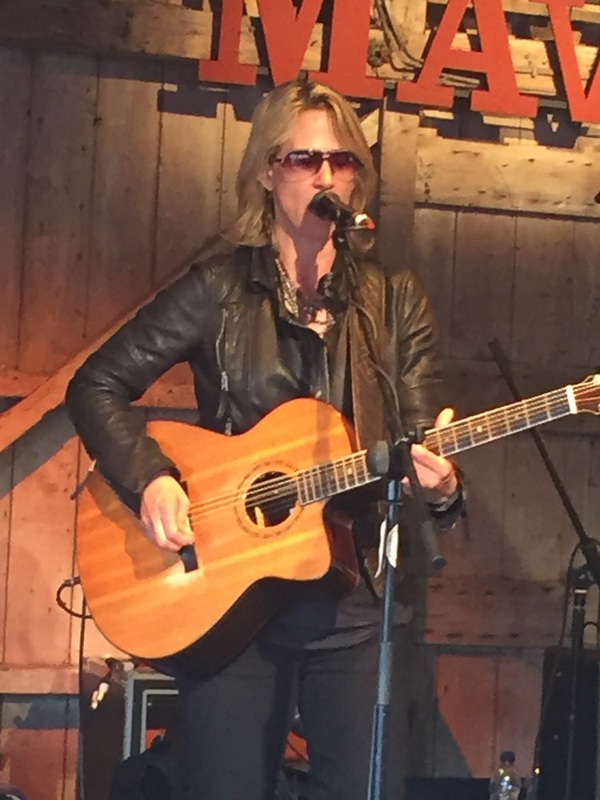 Half an hour was way too short, but just enough to sample some of the best from the new album, including ‘Medicine River’, an understanding on why she is the self-anointed ‘Queen of Oklahoma’ and by far the best song story introduction of the weekend – ‘Rattlesnake Kate’. We now also know what a Canadian tuxedo is. Carter, you were the star of the weekend. Hop onto I-40, head east out of the fertile song writing state of Oklahoma and eventually Music City will beckon. However we have one further destination in the Deep South which featured prominently in Maverick before we land in Nashville. 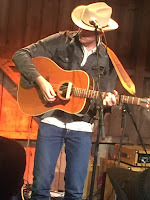 2016 was Jimmie Rodgers tribute year for the festival and for an hour and a half on Friday evening the Peacock Stage was the domain of leading interpreter Britt Gully. He co-ordinated a celebration of the Singing Brakeman’s music with the help of many of the artists playing the festival including Sam Outlaw, Luke Winslow King and Robyn Hitchcock. Yodelling was optional, but the spirit of one of country music’s pioneers was prevalent in this corner of Maverick. Nashville is the home to three of the most outstanding acts to play Maverick this year and all pre-festival favourites here as well. 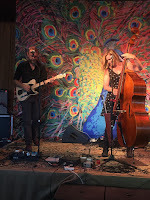 Doug and Telisha Williams, aka Wild Ponies, played a couple of blistering sets across Saturday and Sunday, Doug’s telecaster was on fire, Telisha’s vocals drooled with pure Southern class and the added percussion raised the bar once again. Relaying the set lists will take up too much time, but a shout out is essential for ‘Unplug the Machine’, ‘Radiant’ and ‘Love is Not a Sin’ from the new album and ‘Trigger’ off the previous one. Maverick had been on the couple’s horizon for a while and they seized the opportunity with great relish and plenty of enthusiastic skill. 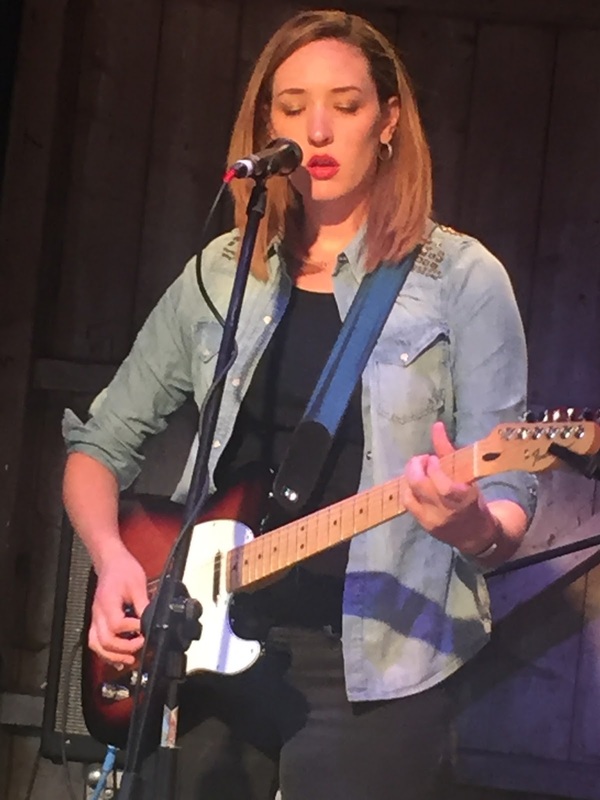 Hannah Aldridge is now a Maverick Festival legend after playing for three consecutive years and growing her appreciative following considerably. 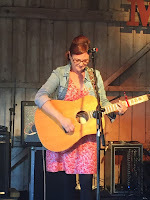 This was the sixth occasion of seeing Hannah play a set in the UK and it was possibly the strongest performance of the lot when she commanded The Barn stage on Saturday evening. The voice, poise, electric guitar and songs which mean so much equip Hannah with the power to captivate an audience. From the opening line of ‘Lie Like You Love Me’ right through to celebrating the work of her father, Walt, with ‘Modern Day Bonnie and Clyde’, she was in peerless form and the new album cannot come quickly enough. Nashville is Hannah’s adopted home, and also to be more precise, East Nashville the location for Amelia White who was finally caught playing a set on Sunday in The Barn. The last two albums of Amelia’s have acquired favourable reviews here with the title track from HOME SWEET HOTEL shaping up to be the pick of her showcased songs. 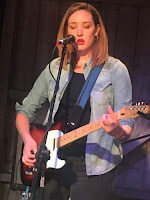 She teamed up with UK guitarist Dan Webster for this festival appearance and her endearing left field sound shared many similarities with the work of Lera Lynn. Before we leave Nashville, and ultimately the USA, a quick word on two performers who have made the city their home, although thousands of miles from their country of origin. Robyn Hitchcock was one of the organisers’ coups this year after an impromptu appearance twelve months ago. Only a short part of Robyn’s set was seen, but the reports were positive with a couple of Dylan covers going down well. Immediately preceding Robyn on the Peacock Stage on Saturday night was Aussie songstress Emma Swift, accompanied by the ‘house band’ – (more BJ Cole on steel). She celebrated the work of Gram Parsons with a smashing cover of ‘Brass Buttons’ and her fellow antipodean sad song writers with the immensely dark ‘Shivers’, as interpreted by Nick Cave. It wouldn’t be Maverick, if there was not a fine input of home grown music gracing the weekend. After leaving Nashville, we first land in Glasgow and hook up with Daniel Meade and his Flying Mule sidekick, the incredible guitarist Lloyd Reid. The frustration of the schedule pitched Daniel in direct competition with his At The Helm partners Massy Ferguson, with both acts only making the single appearance. 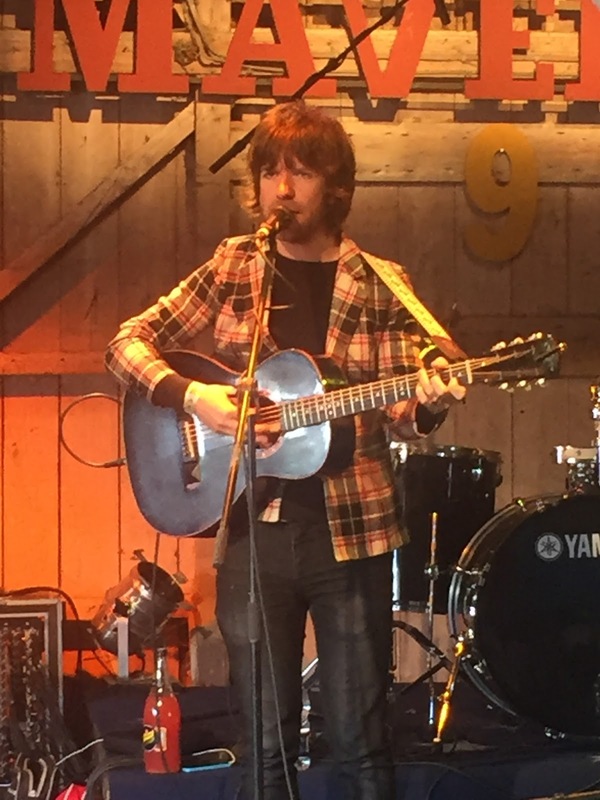 With more opportunities likely to catch Daniel live, only fifteen minutes of his set was seen but the songs of his new album sounded sweet live including the rousing title track ‘Let Me Off at the Bottom’. Hopefully Daniel and Lloyd will bring their talents south of the border more frequently as their style of honky tonk country always goes down well. Unfortunately Daniel was the only one of the Scottish contingent to be in my listening vicinity, so next we head south down the M6 to Liverpool and check in on Robert Vincent. My previous exposure to the work of Rob was only as a solo performer and his full band performance in The Barn on Friday evening was a welcome surprise. To say Rob and the boys rocked is an understatement. The new material sounded superb with a strong emotive number 'Demons’from his previous record perhaps just eclipsing them as the set’s stand out moment. Without doubt Rob's status of 'emerging' star will be updated to 'established' in the near future. 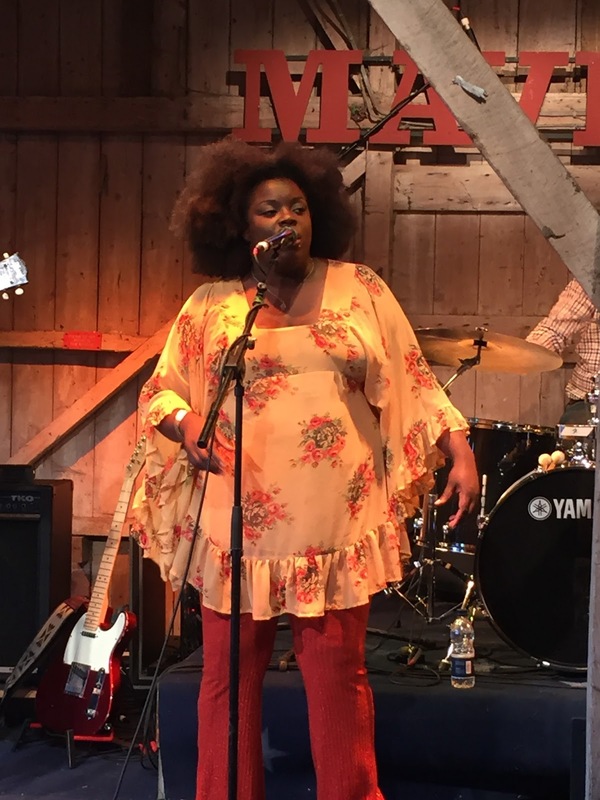 A late addition to the festival this year was Bristol based country soul singer Yola Carter. Her booking and the sound she brings was a major shift in the diversity of Maverick, which should be in line with the true definition of the word. 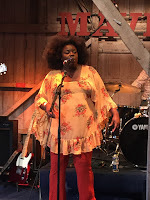 Yola’s powerful vocals are beginning to literally make noises in circles actively promoting the genres of Americana and contemporary roots music. A full band supported Yola for this Friday evening exhibition of her talents including some fiddle, an instrument not so prevalent among this year’s artists. ‘Fly Away’ stood out as one of the prominent numbers included in Yola’s set and the live presence of this rising UK solo talent whetted the appetite for recorded material to become available. Our virtual road trip has covered thousands of miles so far with just the capital left to call in before we finally head up the A12 to the rural outpost of Easton Farm Park. Two artists with London links were among the full bands booked to rock the Sweet Home Alabama outdoor stage on Saturday afternoon. 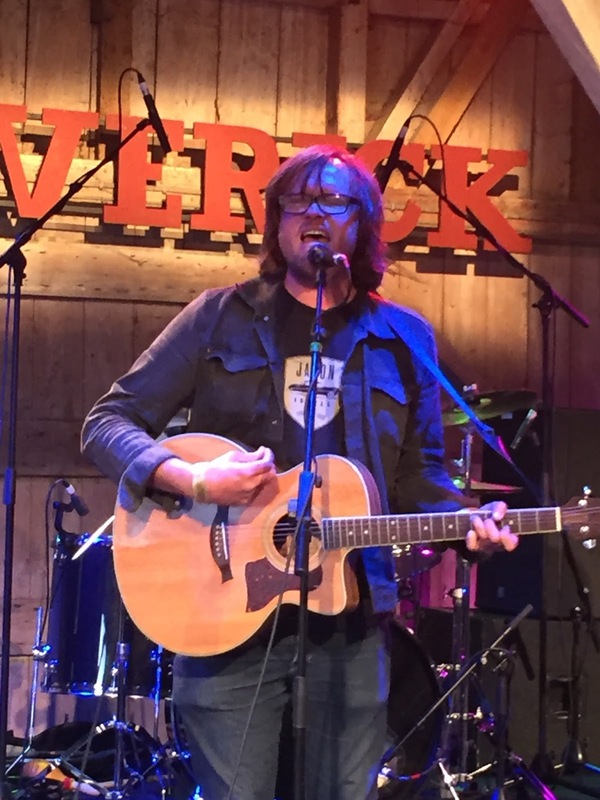 Simon Stanley Ward returned to the festival twelve months after a song writing circle slot and this year showed what he can do with an enhanced back beat to his quirky songs. The result was impressive with his distinct vocals working in tandem with the instrumentation on songs such as ‘The Monster Song’, ‘American Voice’ and the popular audience participation singalong ‘Water’. 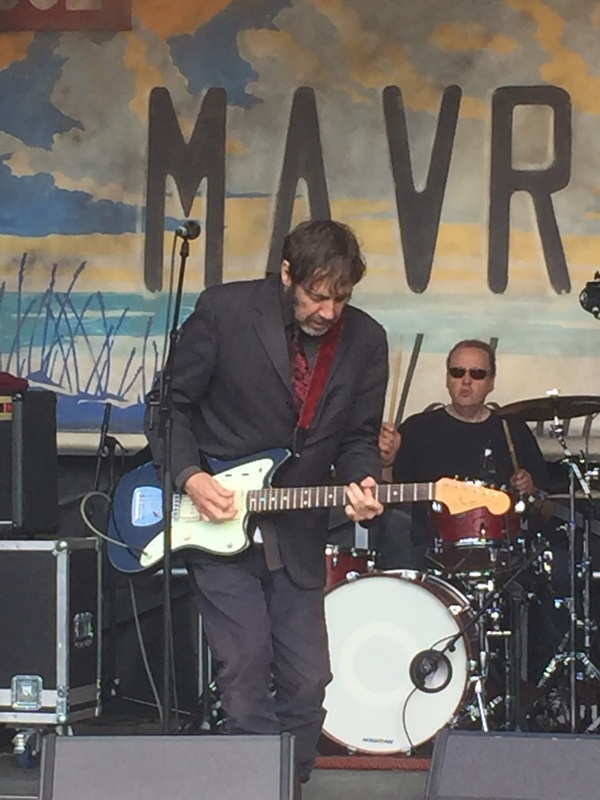 The vastly more experienced Peter Bruntnell returned to Maverick later on Saturday afternoon to play a signature alt-country rock set, full of swirling guitars and an intense passion for ensuring a cultured powerful sound resonated around the festival grounds for forty minutes. By the time Peter closed with ‘St Christopher’ many folks were thrilled with the stirring performance from the band. As we wind our way to the festival site through the lanes of Suffolk, the journey from LA is almost complete. Nine Maverick Festivals are in the book with hopefully double digits being accomplished a year from now. The artists featured in this review are far from household names, but each one, plus the others that were only curtailed by time, deserve the utmost credit for putting musical integrity at the top of their agenda. 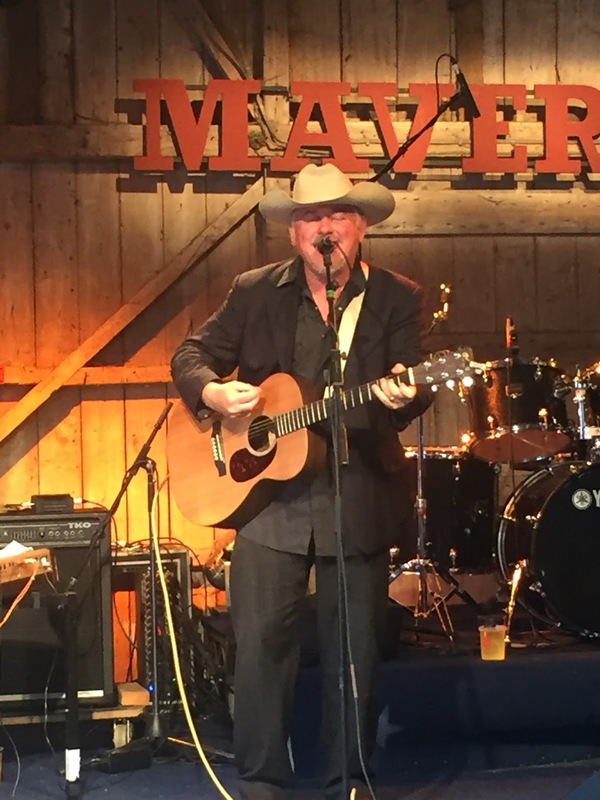 They are, and always will be, the stars of the Maverick Festival.